For Companies Selling Paper Bags, Agency Producing Paper Bags, Manufacturer Of Satchel Paper Bags & Other Bag Making Industries. Making of the paper bag is easy as well as good for nature as it is recyclable. 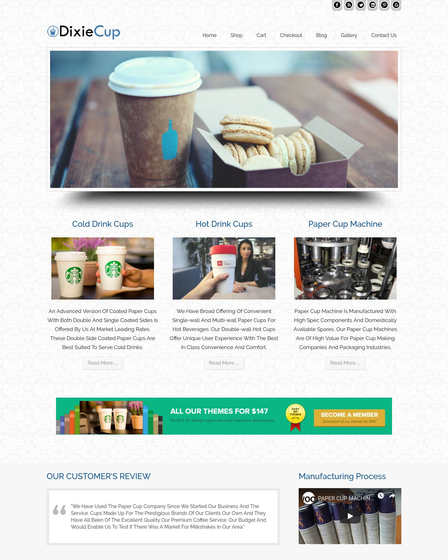 So, flourish your firm online with the help of Paper Bag Production WordPress Theme, which is a premium template. 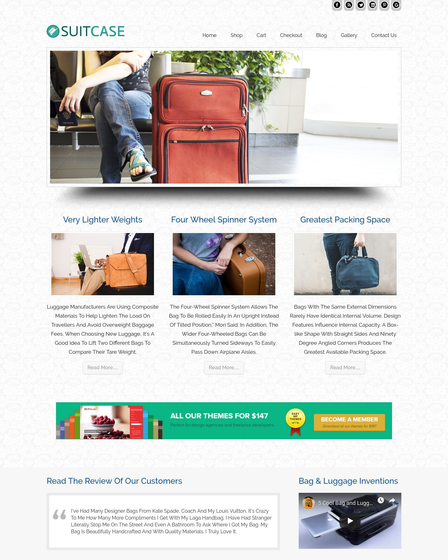 It is completely responsive as it carries out both eCommerce WordPress theme and Lead Capture Form effectively. The EcoBag template is made for companies selling paper bags, the manufacturer of satchel paper bags, agency producing paper bags and other biodegradable paper bag making industries. WooCommerce helps you to present your paper bag item on the shop page of it, where you can show them with their real price and with the product description. Via cart, your customer can keep their final product and via checkout page, your buyers can end their shopping by paying their way out with the help of PayPal gateway mode. Via Lead Capture Form, you can keep updating your regular clients about any upgradations or any sale in your eco bag website. Just by taking their name and email id you can complete this task. Slider- In the beginning only you have got this amazing slider where you can upload your bags images with their description of the right side of it. It is a unique yet easy way to tell your clients about your types of biodegradable bags. Blog- Keeping flourishing your blogger friend with tons of contents for free in regards to paper bags. 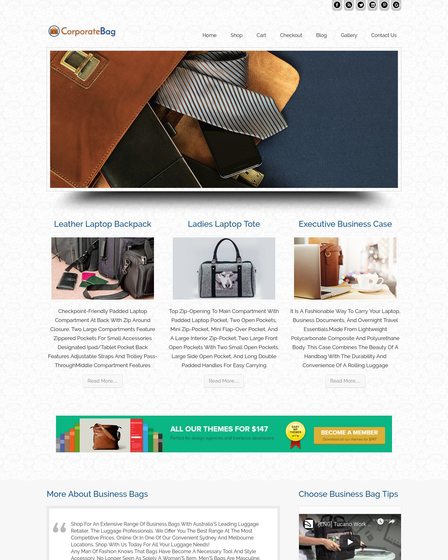 You have got a whole separate section for it so that you can give a new look to your eco bag website. 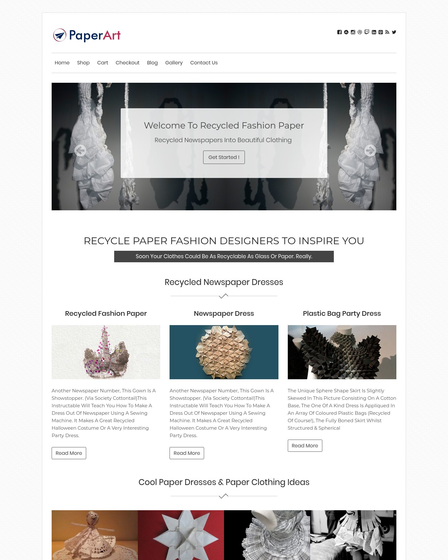 Testimonial section- In the middle of this theme, we are offering you a testimonial area where you can show off what your consumers have to say about you and your paper bag producing agencies. This way you can gain the trust of your new and visiting customers. Integrated with Lead Capture System. The info bar on the top header. 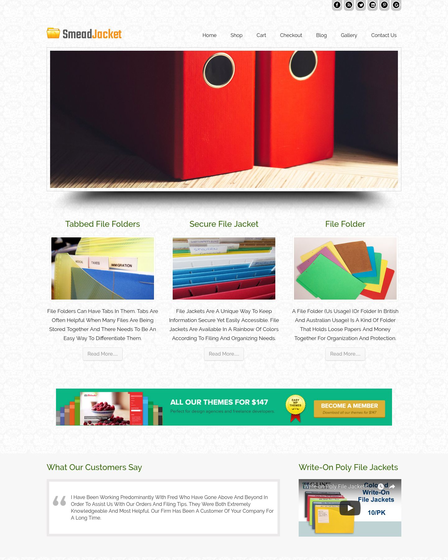 Inbuilt default and full-width template. Custom logo and favicon uploader.